Dumpling fiends! 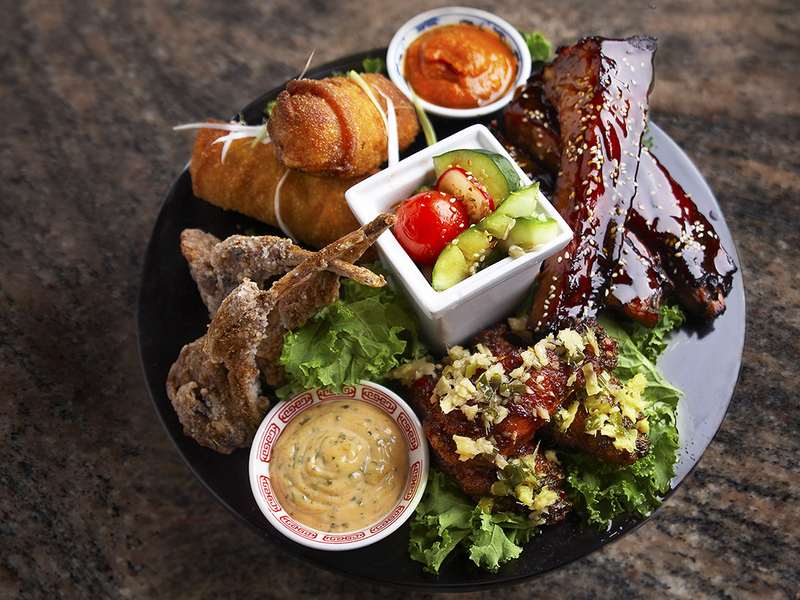 Like your Chinese food to come on small plates? 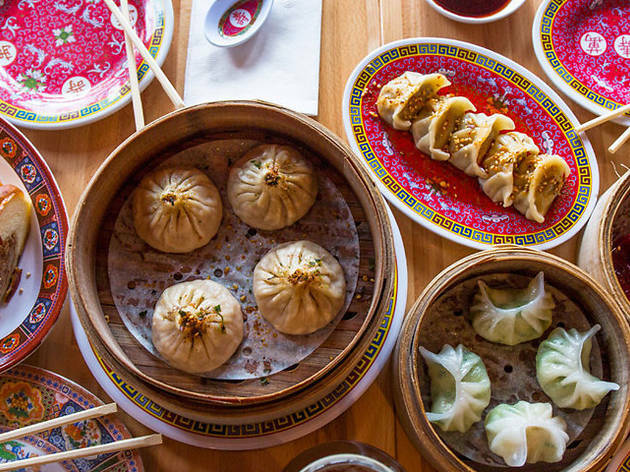 These best dim sum restaurants in America are for you. 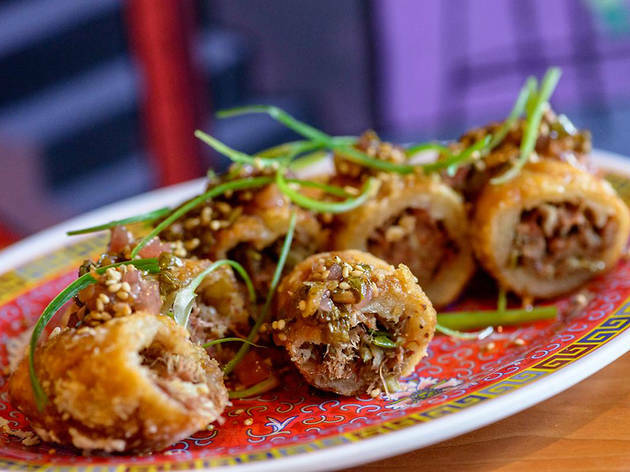 Okay, we’re wading into dangerous territory here: Declaring the best dim sum restaurants in America is a task sure to excite the same level of furious disagreement that we faced when we endeavoured to rank the best Mexican restaurants and best sushi restaurants in America. Because people are passionate about their dim sum. But so are we—nothing pleases us more than a steamer full of har gow straight from the cart—which is why we pushed forward with the task. From Chinatown in San Francisco to downtown Manhattan to Miami, Vegas, Portland and beyond, these restaurants do little-dishes-on-carts (and sometimes not on carts) better than the rest. They’re the best dim sum restaurants and, if you’re a dim sum lover, your foodie bucket list. 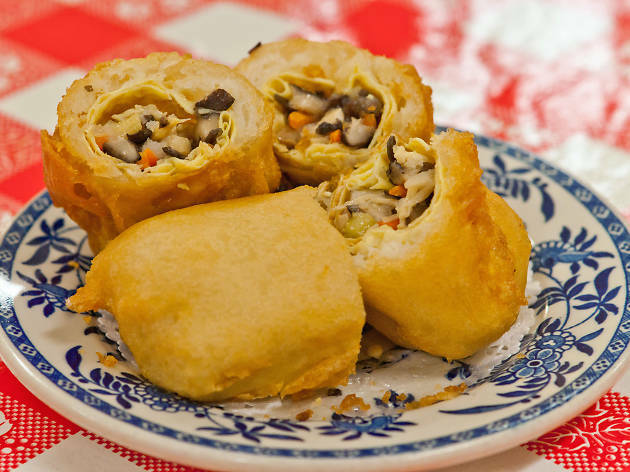 Given Doyers Street’s notoriously grisly gang wars in the early 20th century, it’s a surprise that the original owners of Nom Wah decided to set up a dainty tea shop there in 1920, turning out reputation-making moon cakes. 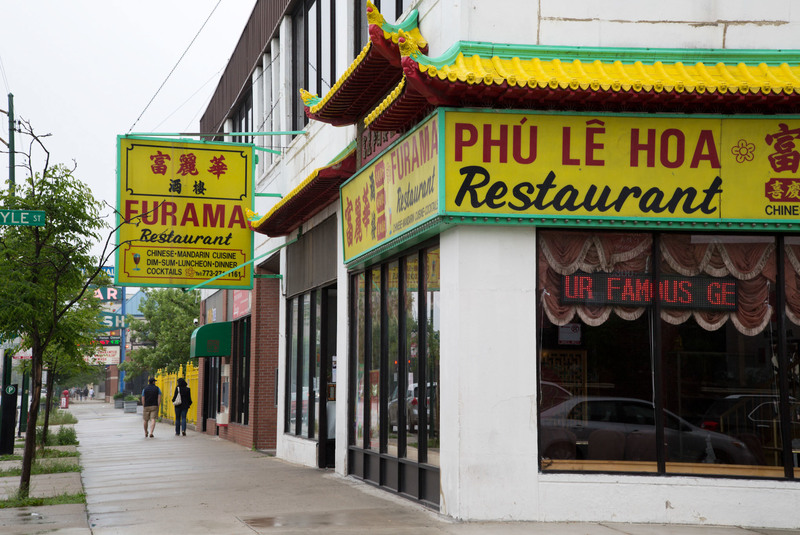 Today, the biggest fight on the block is the weekend wait for Nom Wah—now the oldest dim sum parlor in the city. The classics remain, alongside brunch mimosas and gluten-free options. 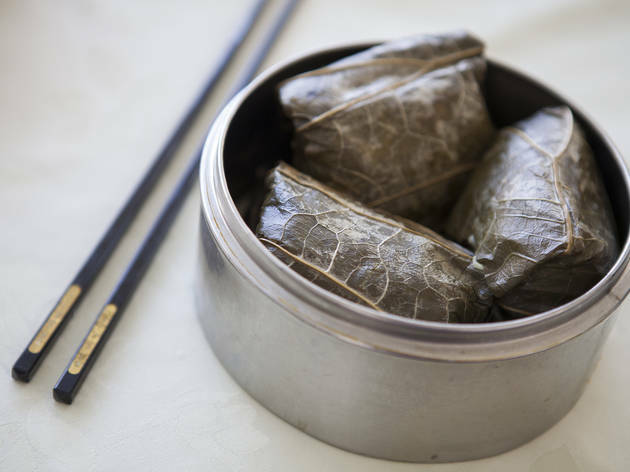 The historic house specialty, xing ren bing (almond cookies), are as big as dinner plates. 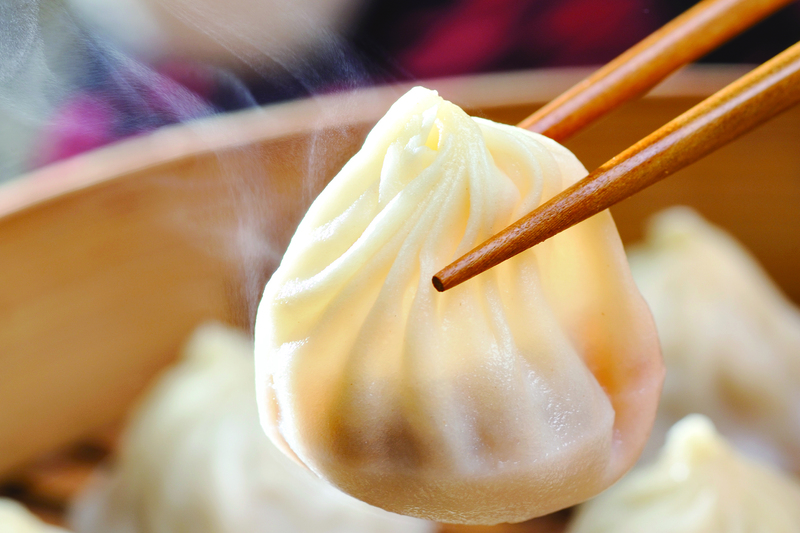 Char siu bao (fluffy BBQ pork buns) explode with shredded meat and caramelized onions. 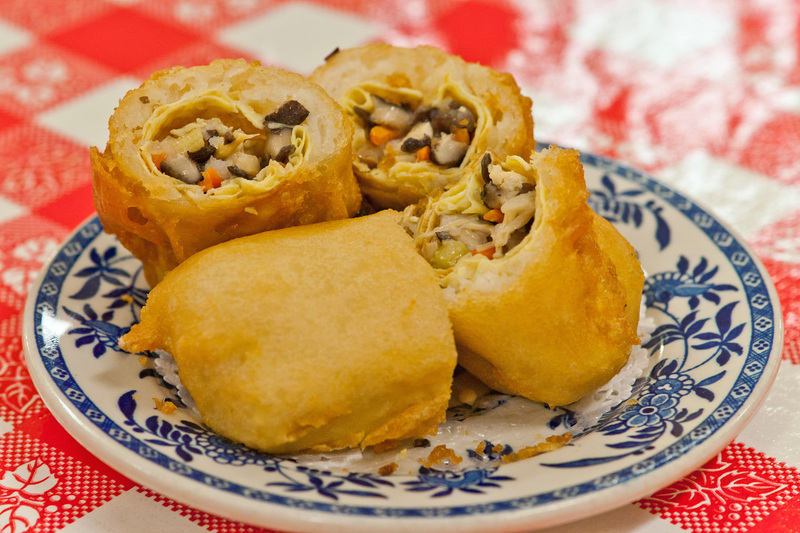 “The Original” egg roll (chun juan), is the size of a prizefighter’s meaty fist and comprised of a soft, eggy crêpe, stuffed with shredded chicken and mushroom. The line begins to form an hour before opening at this bustling Alameda eatery, where gilded dragons snake across the walls. Large families gather around the plants up front and cluster on the sidewalk. Luckily for the waiting throngs, the seating here is plentiful, including tables fit for two to 12. Carts roll by in all directions, and each server is wired with a tiny microphone to relay orders to the kitchen. The menu goes on for several pages, offering favorites like BBQ pork buns, shrimp and leek dumplings, shumai, salt and pepper tofu, taro, porridge and chicken feet. Cap off your meal with a selection of custard tarts, sesame balls and pillowy pineapple buns. Perhaps you’ve heard well-traveled foodie friends moan about this place when they dined there in Singapore or Taiwan? 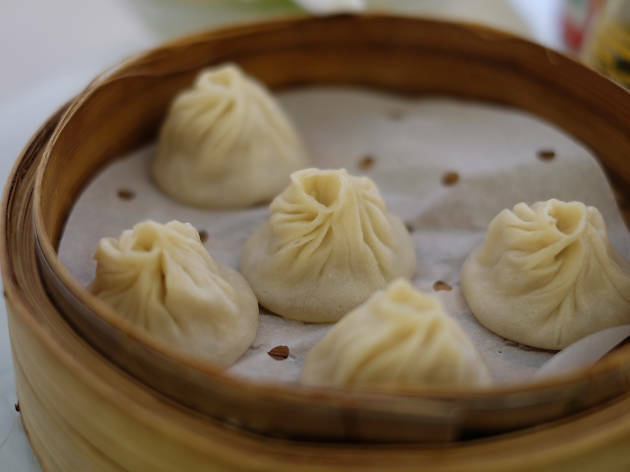 No need to book a ticket to Asia: Din Tai Fung has a growing number of U.S. outposts, including several in Southern California and two in the Seattle area—one in the University District and one in Bellevue. 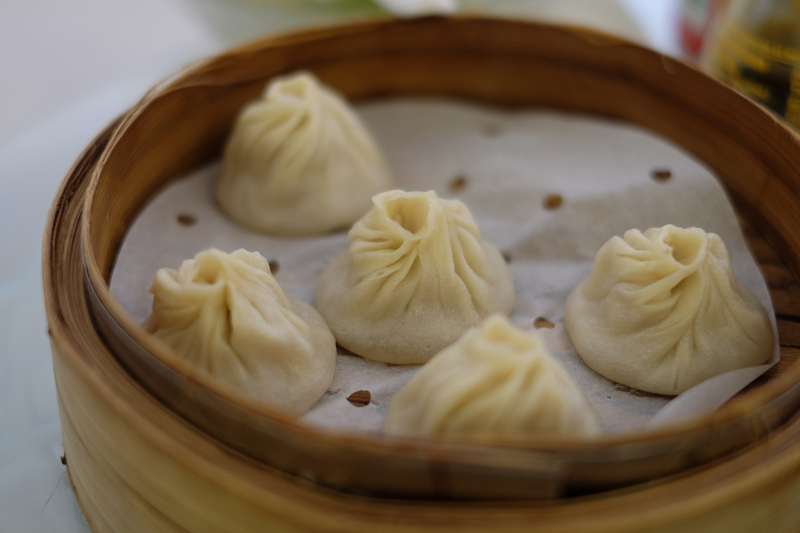 Soup dumplings, a.k.a. 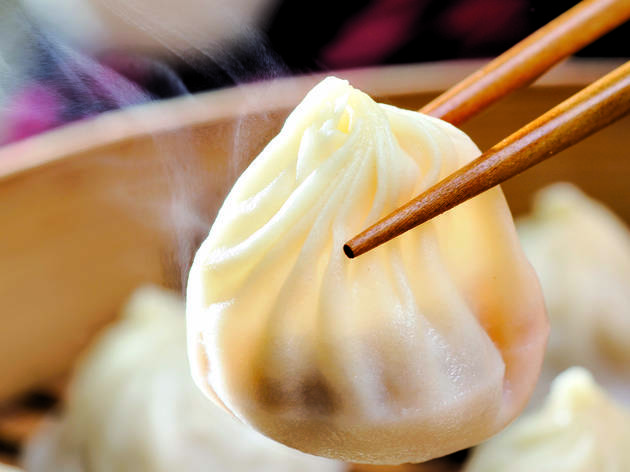 xiao long bao—or here, “juicy pork dumplings”—are the thing to order; these delicate teardrop-shaped pouches of tastiness are served in their metal steamer tray, ready to have their piping hot broth carefully slurped with a dash of black vinegar and a sliver of ginger, and the meaty filling coaxed out after. 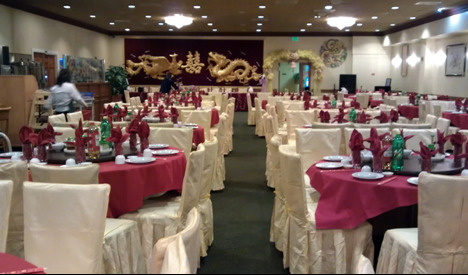 Hailed by many as the best dim sum in all of SF—with the wait-times to prove it—this FiDi standby offers a more refined dim sum experience, complete with white tablecloths, potted orchids and mahogany-paneled walls within the Rincon Center. Well-appointed carts roll by frequently, filled with staples like sticky rice, chicken feet and dumplings galore. 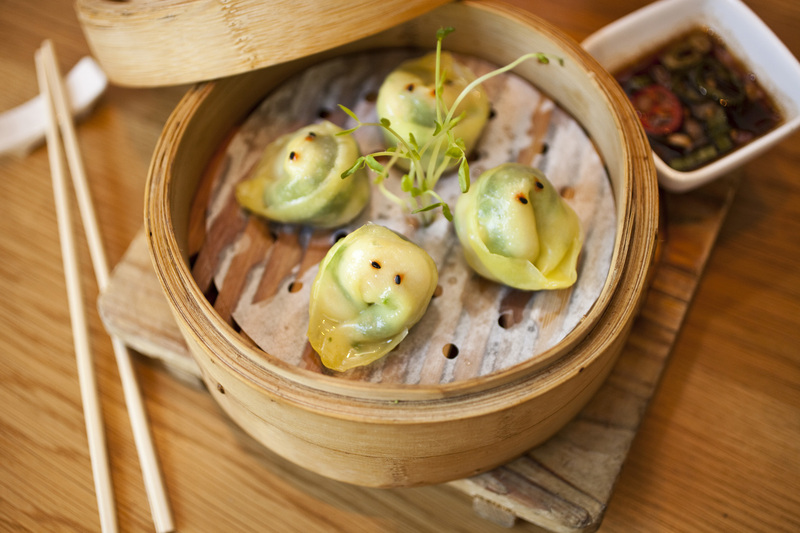 The xiao long bao and Kurobuta pork-filled Shanghai dumplings are particular specialties, best paired with the red cabbage salad, which is topped with orange zest and candied walnuts. Don’t miss the honey-coated Peking duck, conveniently served by the slice. After all these years, Sea Harbour is still a crowd favorite among Angelenos. The cozy, red-hued dining room has been offering made-to-order dishes since 2002. Dare to visit on a weekend morning and you’ll find a line that formed long before opening. With a menu of 100 items, you’ll do best to stick to the well-executed basics, like crystal shrimp dumplings and pork dumplings. 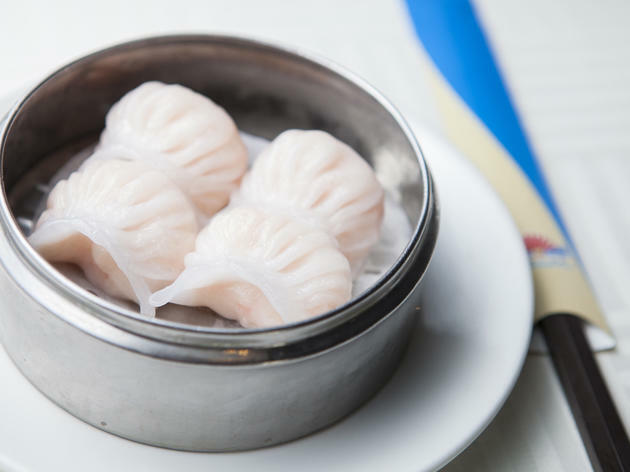 The vibrant pork soup dumplings are hot and juicy in their tins on arrival, while the springy rice noodle rolls nail the ideal filling-to-rice-paper ratio and are some of the best in the city. Highlights beyond the basics include fried whole smelt, black fungus and celery dumplings. 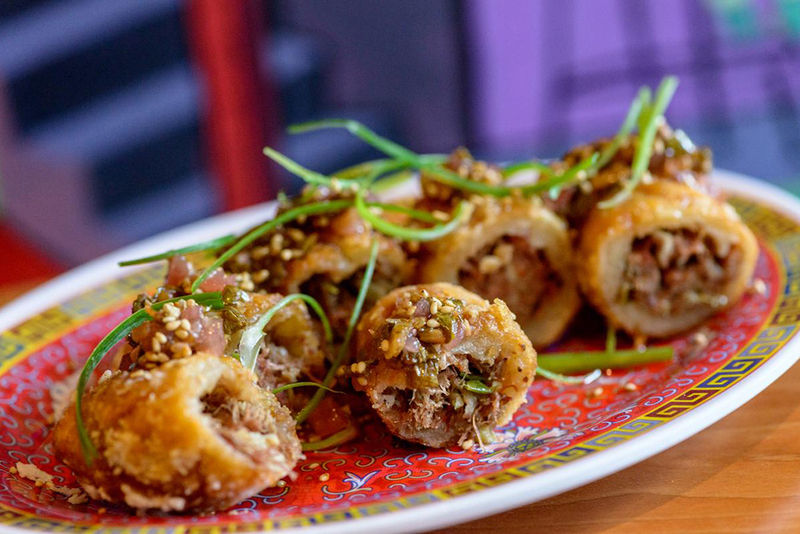 The third Asian concept from Richard Hales (Sakaya Kitchen and Dim Ssam a Go Go), Blackbrick brought the chef’s “funk fusion” approach to Chinese cooking when it opened in late 2013. 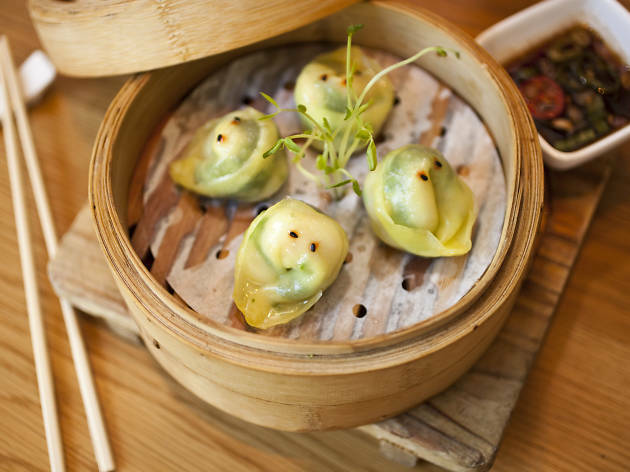 The dim sum menu (served all the time, with a more extensive selection for weekend brunch) hews fairly classic, with some twists: you’ll find shrimp-and-chive dumplings and spare ribs in black bean sauce, along with dumplings made from edamame and Xingjiang-style cumin lamb. 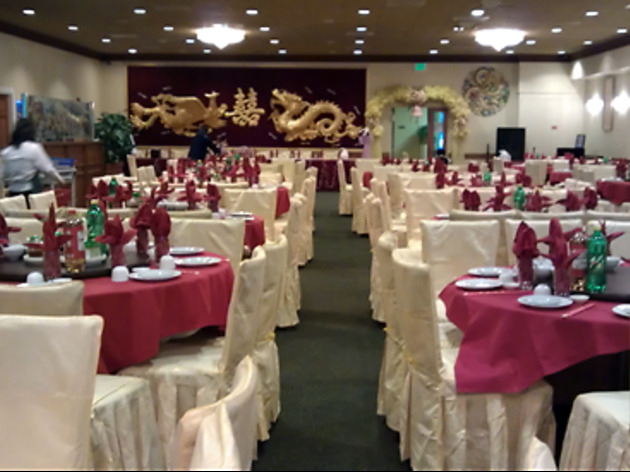 On the regular menu, don’t miss the General Tso’s Florida Gator or the broad selection of locally sourced veggie dishes. 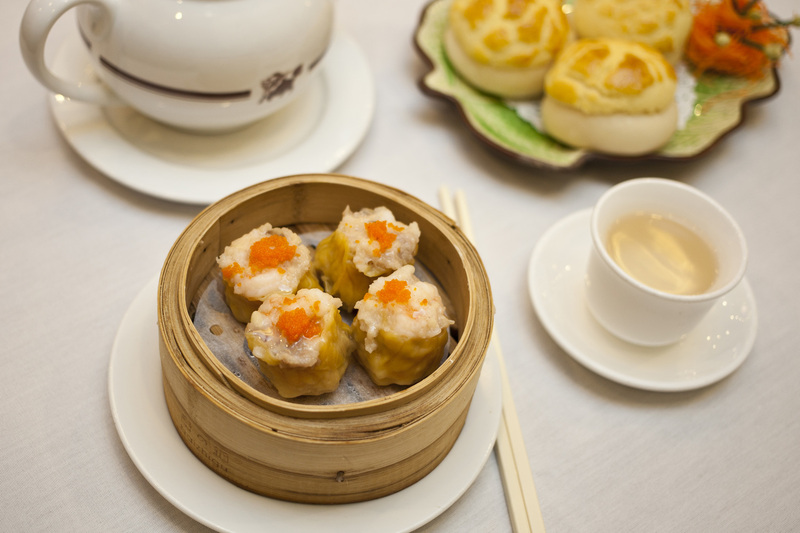 There’s no weekend lull at the office tower housing this ’90s-era dim sum standby. Hostesses marshal brunchers, via elevators, to one of two distinctly extravagant floors: the first, displaying classic Chinese pomp with bold reds and golds; the second, all recessed lighting and damask drapes. On both levels, bilingual cart handlers gregariously promote their steamers above the din of gossipy catch-up sessions. The selection sticks to a tried-and-true set of standard bearers. 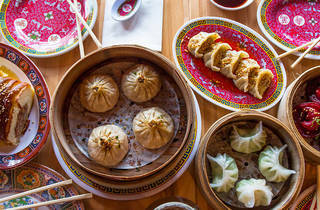 Pork shumai are dense and chewy, a knockout punch of meat wrapped in wontons, while the steamed shrimp dumplings (har gow) are appropriately dainty. For some, Sundays are for church. 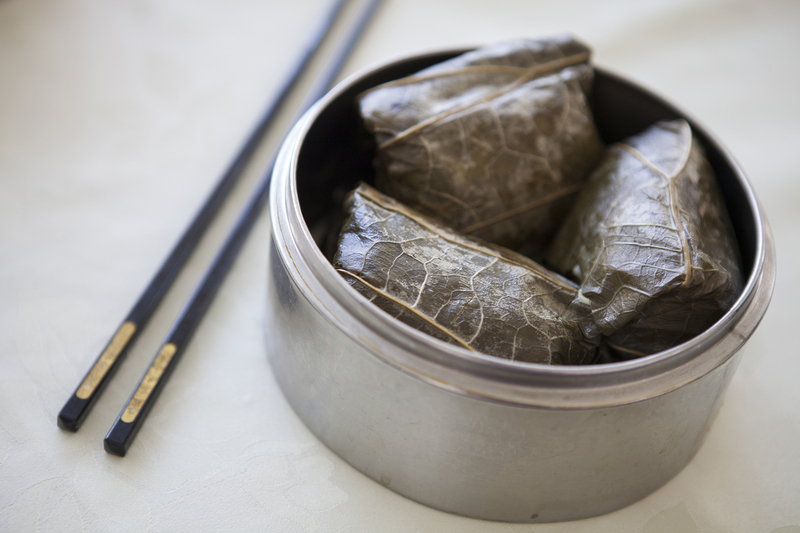 For others, it’s dim sum time. 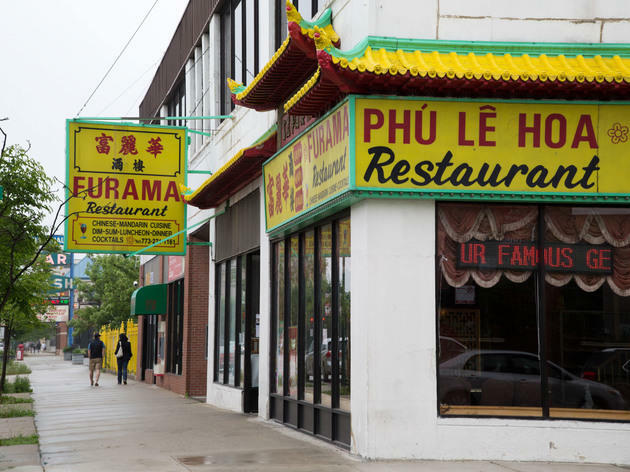 In Chicago, the congregation assembles at Furama, which offers one of the largest dim sum selections in town and proves the most consistent overall. People pack the giant banquet space to settle in for the barrage of carts that wheel by brimming with a dozen different dumplings (shrimp-peanut, chive and pork stand out); fluffy buns (BBQ pork and pan-fried veggie-pork are awesome); and various fried and steamed morsels of hangover-absorbing snacks. Don’t miss the taro puff, ribs, pot stickers and sweet egg-custard tarts. Pingtung may be named after a city and county in Taiwan, but the fare here is decidedly pan-Asian. The Melrose Ave eatery offers dim sum until 10pm (11pm on the weekends), meaning that you can pop in for a late-night feast after you’ve had a couple drinks at Melrose Umbrella Co. next door. 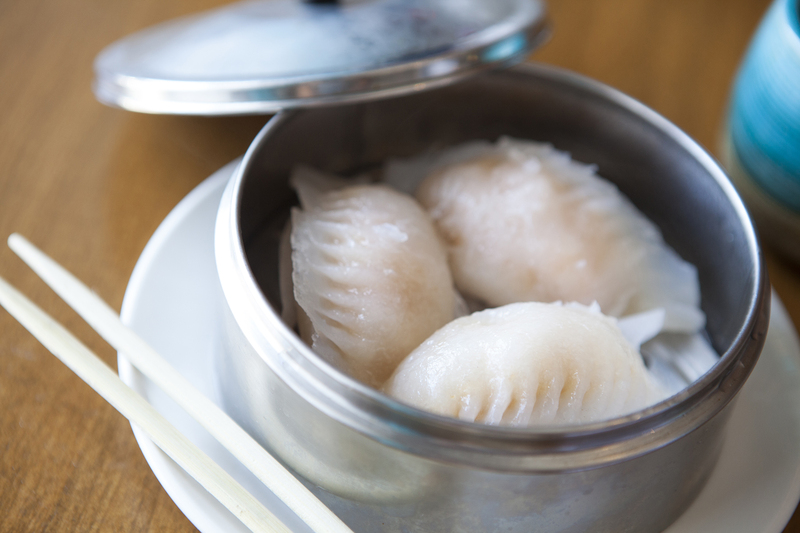 Specialties here include a variety of dumplings (the crystal shrimp option is solid), as well as a selection of potstickers that range from wild crab to chicken and shrimp. For something a little more nouveau, try the pork belly sliders or the wasabi burger on a bao bun—they’ll satisfy any dim sum craving would have inspired you to trek over to the San Gabriel Valley. Get your chopsticks ready. From the SGV to West Hollywood, we found the best dim sum restaurants for your next brunch adventure. 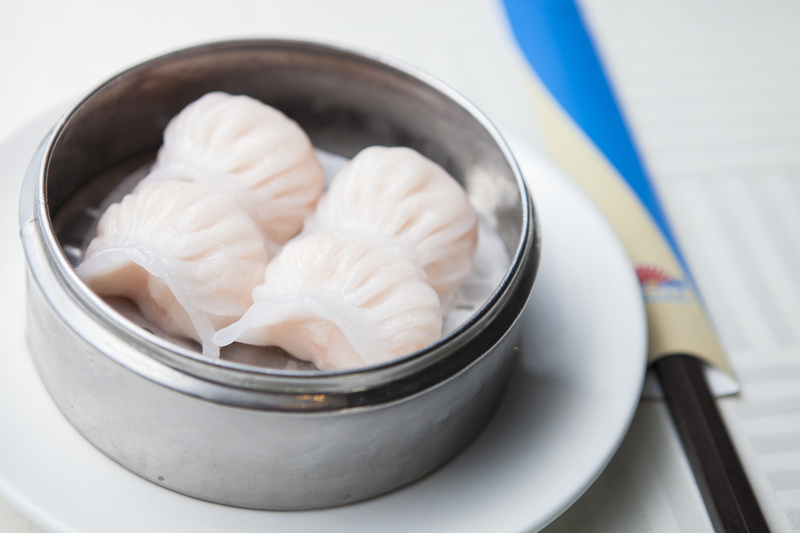 Looking for the city’s best dim sum? San Francisco has plenty, from traditional rolling carts to cheap take-out.